The previous article gave a glimpse of RemUI 3.3’s revamped Dashboard. We discussed how we introduced an Overlay with quick links on the Left Sidebar and replaced the Right Sidebar with a new “Dash Slider”. 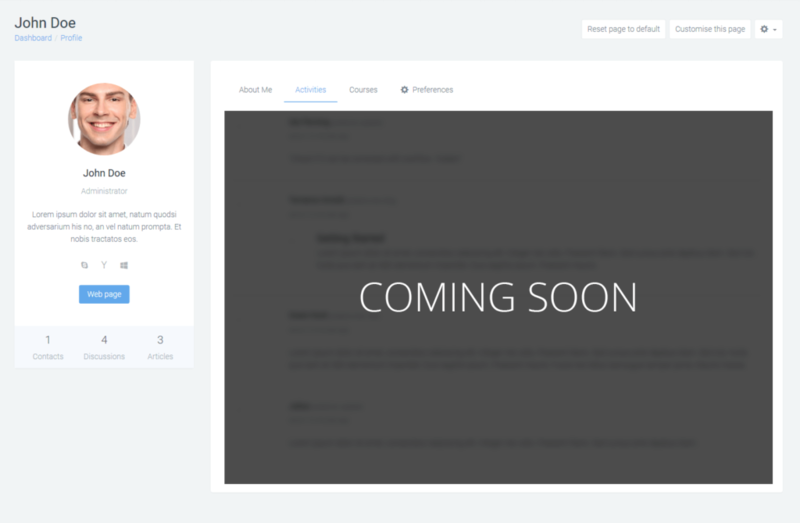 In this article, we are going to reveal another portion of RemUI – The Profile Page. The profile page gives you a glimpse of what is happening in your account. This includes everything from the courses you are enrolled, to the activities that you are performing on the site. Let us take a look at what’s new on the Profile Page. You can spot the difference in User Interface, the moment you login to the Dashboard. The columns are divided using the Card layout provided by BootStrap 4. Having a Card layout gives an aesthetic look to the entire page. The user’s quick details are shown in the left section. It contains their Profile Picture, Name, Role, Description and Social links. The right-hand side is a tabbed section containing 4 main tabs. These tabs enclose additional information pertaining to the Moodle user. The images no longer have sharp edges, instead, a border-radius has been introduced to give them a smooth texture. A lot of white space has been added along with a light weight font which is easy on eyes. Now, more about the tabs. The About Me tab contains everything about your current profile. This data is fetched from your profile. You can edit these details by clicking on the “Edit Profile” link and then changing your details. It has details such as your Interests, Department & Institution, Location, and your Earned Badges. The Activities tab includes your most recent activities in the chronological order. 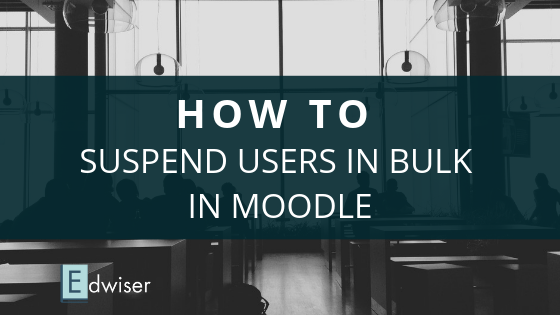 You can keep track of your Moodle activities from this tab. 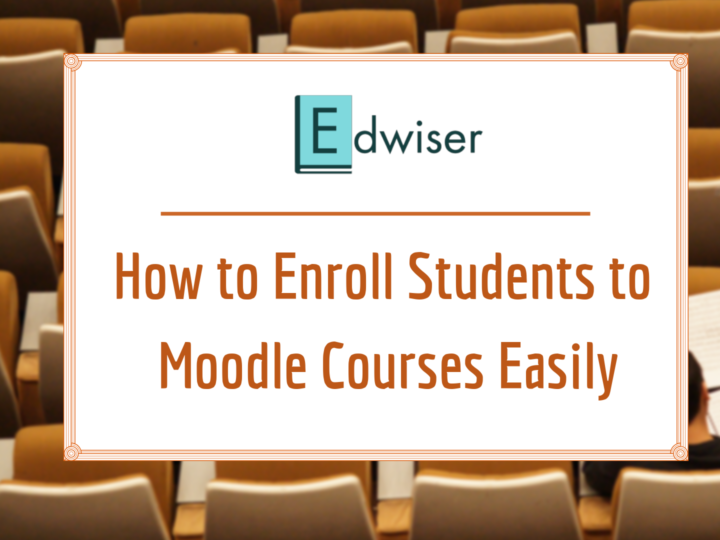 The Courses tab is a list of all your enrolled courses on the Moodle website. Courses are listed in alphabetical order on the page. Every course contains a course image, it’s title & description, the start date and a progress chart next to it. The Donut Graph shows a course’s completion percentage. There is a graphical demonstration along with the traditional text displaying the percentage. 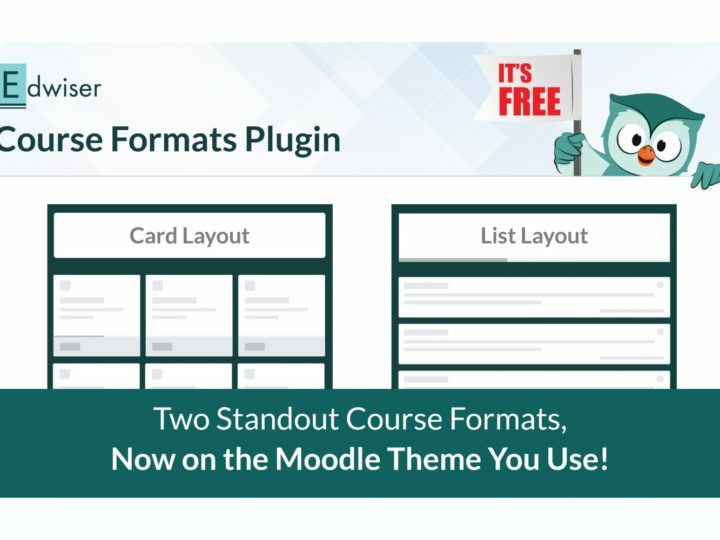 These graphs are shown beside every course on the page. A preferences tab gives users a quick access to various settings they wish to edit. 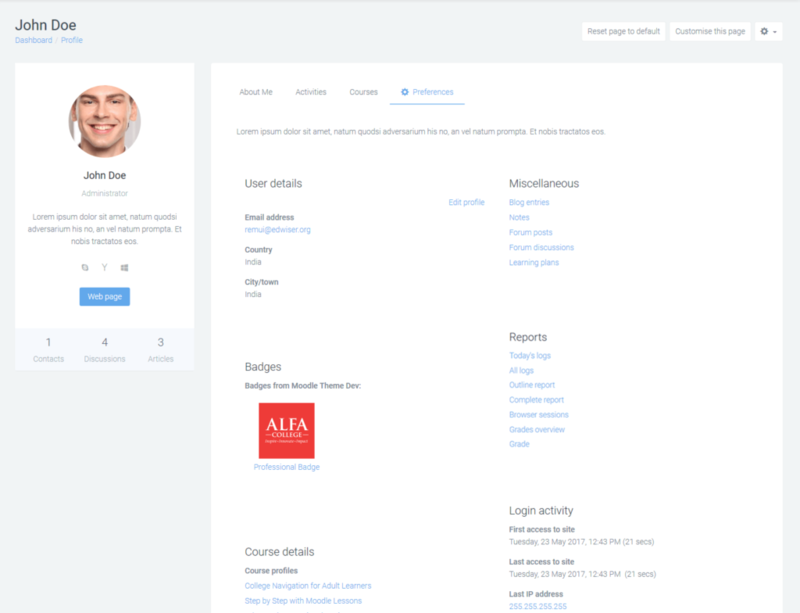 User details: Has a summary of your profile details along with a link to edit your profile. 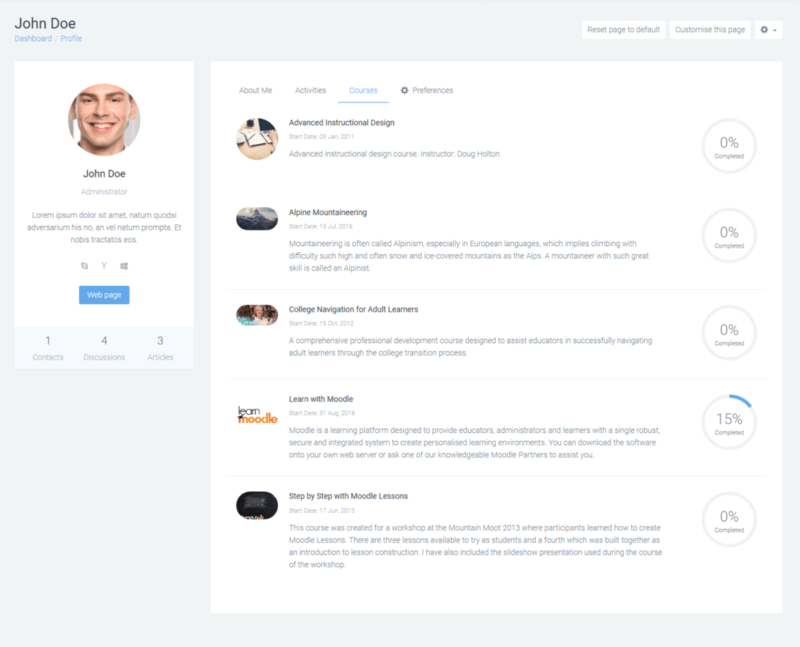 Reports: Has a consolidated list of links to your profile and grade reports. This includes everything from a log of all your profile changes, your browser sessions, and your grade overview. Badges: A list of all your achieved badges. You can edit and download them. Course details: A list of all your courses with direct links to the course pages. Login activity: Shows your First & Last login to the site along with the IP address used to login to the account. Miscellaneous: Blog posts, Notes, and Forum discussions form a part of this category. There! 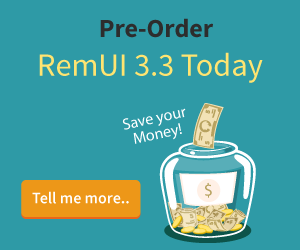 We revealed another piece of RemUI 3.3. 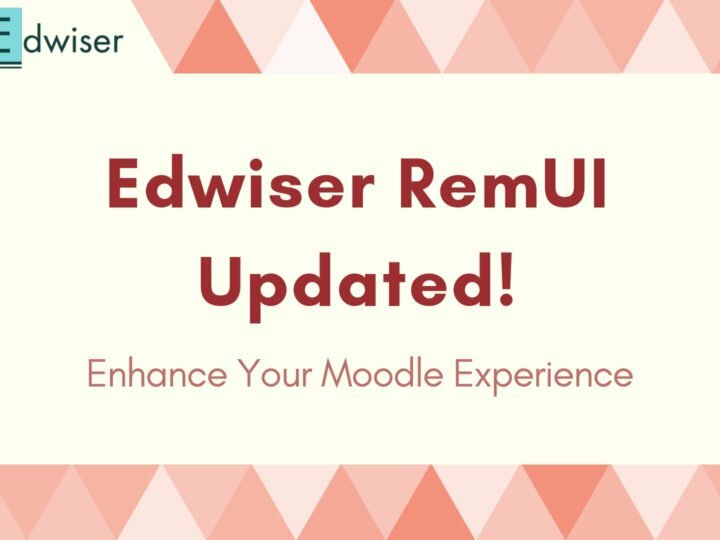 In the days leading up to the launch of Edwiser RemUI 3.3, we will be releasing more details and screenshots. So, stay subscribed! Stay Informed! Hi! 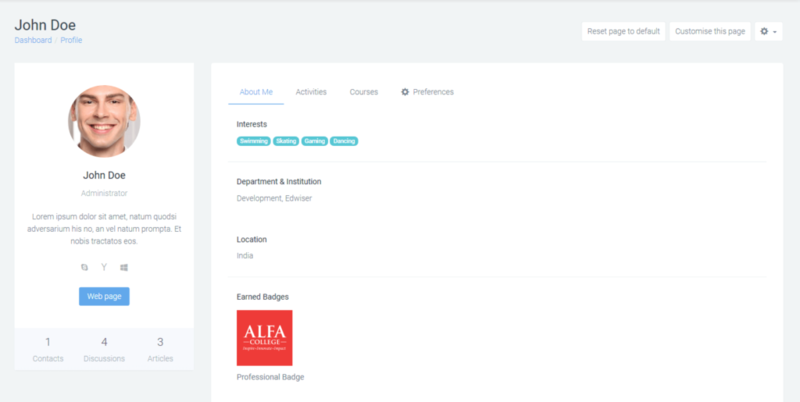 The Profile Page is cool, but between the Tabs “Courses” and “Preferences” my students have a tab called “Edit Profile” which allow them to change their name, surname, town, country and description. They are not supposed to be able to do so. The more strange thing is I can’t see that tab as the system Administrator. ¿How can I disable it? ¿Which file should I edit in my child theme? We’ve replied to you on mail, regarding the steps you need to take for the same. If there’s anything else we can assist you with, do let us know.